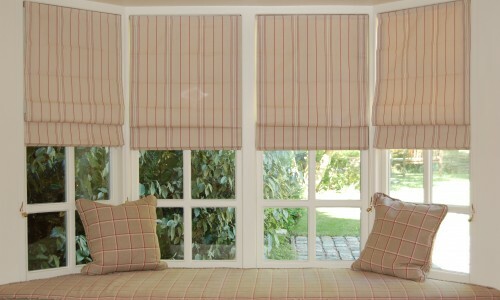 Roman blinds in the bay with window seat cushion in coordinating fabric. 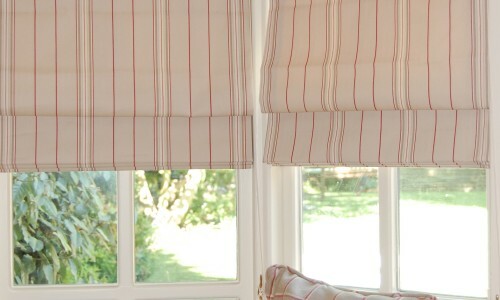 Close up of roman blinds. 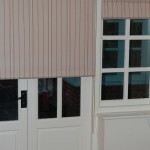 A roller blind was made up in fabric to match the roman blinds in the room. 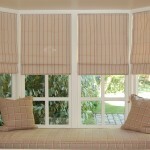 The roller blind is over french doors and takes up minimal space when not in use. This bespoke window seat overlooking the garden creates a relaxing place to unwind in this family room. 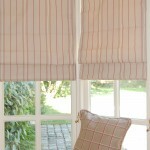 Roman blinds were made for six windows in this room together with a roller blind in the same fabric. 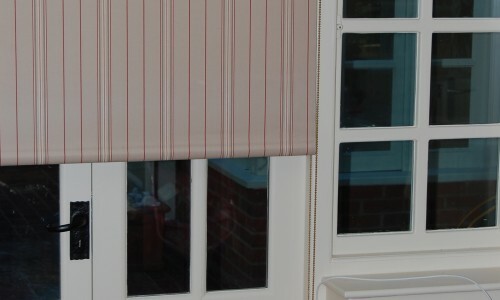 Diana Murray Interiors can supply roller blinds in a range of fabrics or they can be made up in your own material to match other soft furnishings in the room.